Bryan M. Saltzman, M.D. received his Doctorate of Medicine from Rush University Medical Center in Chicago, Illinois with Alpha Omega Alpha (AOA) honors. He has continued his surgical training in Orthopaedic Surgery while performing his residency at Rush under the direction of some of the country’s top Orthopedic Surgeons. Dr. Saltzman’s research endeavors and publications have included more than forty-five peer-reviewed journal articles, textbook chapters and national orthopaedic meeting abstract acceptances. He has additionally presented his research on a wide variety of Orthopedic subspecialty topics at the regional and national levels. 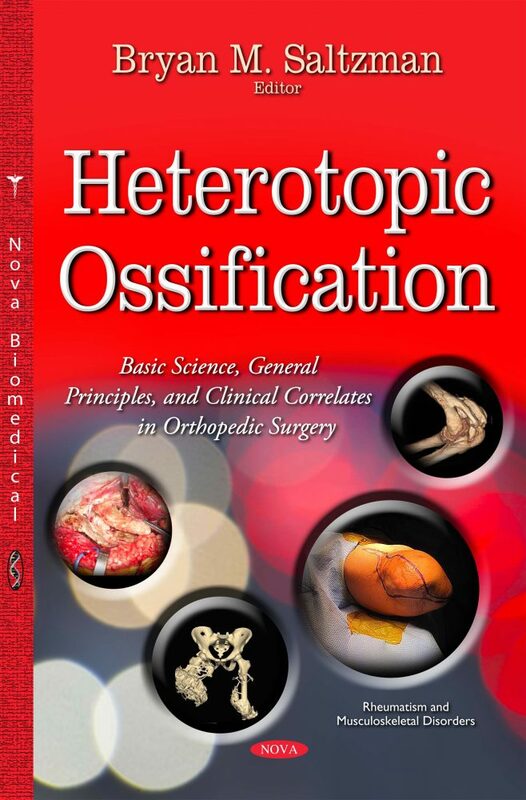 His published work on and interest in the condition of heterotopic ossification led to his selection as the Editor for this current text.